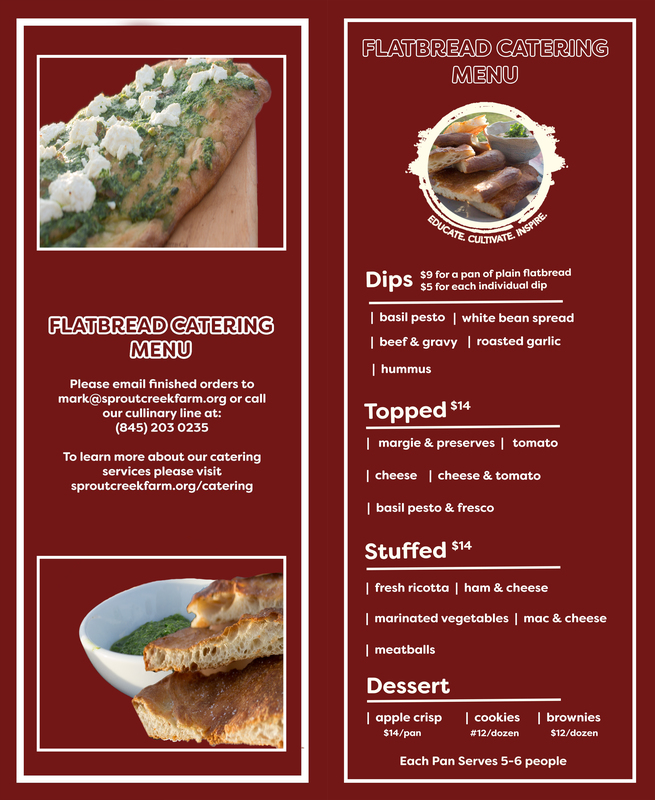 A menu of delicious flatbread pans uniquely flavored and prepared with chef-inspired ingredients — choose from mac and cheese to tomatoes and cheese to cookies and brownies. Orders will be ready for pick up within 48 hours. All food will be ready to heat unless arrangements have been made.